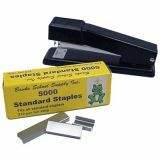 Standard staples that will work in any standard stapler and the Big Book Stapler. 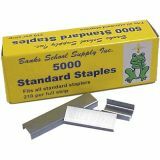 Full strip staples - 5000 per box. Chisel-Pointed Staples. Assorted colors. 1,000 per box. 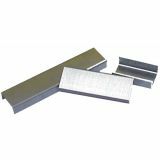 Lever handle for removal of heavy-duty staples from reports or shipping boxes. 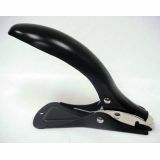 Staples work with X-Treme Duty Stapler 0141-E01L. Transparent stapler with built-in staple remover and box of 1,000 color matching standard staples. Assorted colors. 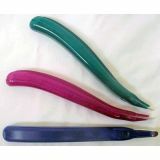 Good looks and functional, this product is a real value. 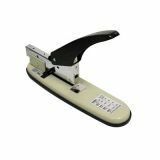 Removes staples quickly and easily without tearing paper. A teacher's favorite! At this price order two, one for work - one for home. 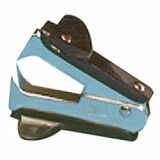 Pincher type staple remover, with extra heavy duty expansion spring for longer life. All metal construction with full padded desk protector base. Accepts a full strip of standard staples. 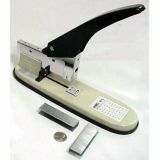 Performs as a desk top stapler or open up and use for tacking decorations into cork boards. Staples 15 pages with no problem.